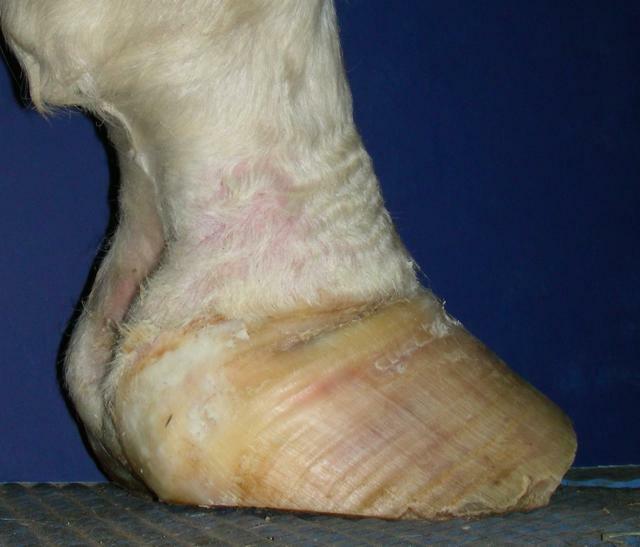 In Part 1 of this blog, I discussed how hoof resection can be difficult to clearly define amongst hoof professionals because there are many opinions about what they involve. 1. A resection implies an invasive procedure. 2. A resection references a therapeutic situation needing intervention. 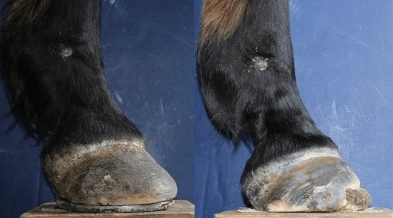 These ideas, and the sometimes blurry line between what lies in the farrier realm versus the veterinary realm, mean resections carry a a lot responsibility. The responsibility knowing when, why and how to do them; and the responsibility of who should do them in what situations". I'd like to share here a couple of situations I've been in where resections were required, how they were handled and why. Warning: some images are graphically intense, so scroll down at your own risk. 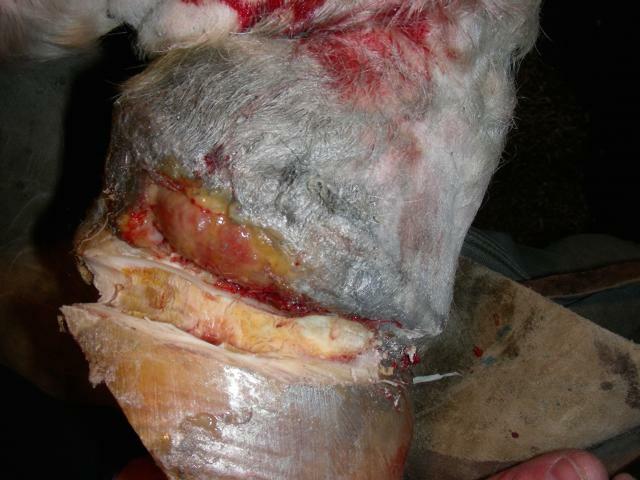 To see more about this horse's entire case study please see: http://www.thehorse.com/articles/33167/rehabilitating-horses-with-ems-associated-laminitis. 1. Did I go ahead and resect the wall knowing I could get into sensitive tissue? This was not an idea I was comfortable with. 2. Did I wait and see if we really needed the resection? 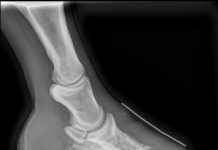 There was only one solution I was happy with: we needed a veterinarian who would help us with the resection and follow-up care. We decided to bring the horse to Daisy Haven Farm and work with our farm vet, Dr Mark Donaldson of Unionville Equine Associates in Oxford, PA. The resection was done as a team effort between Dr. Donaldson and myself, and went very well. 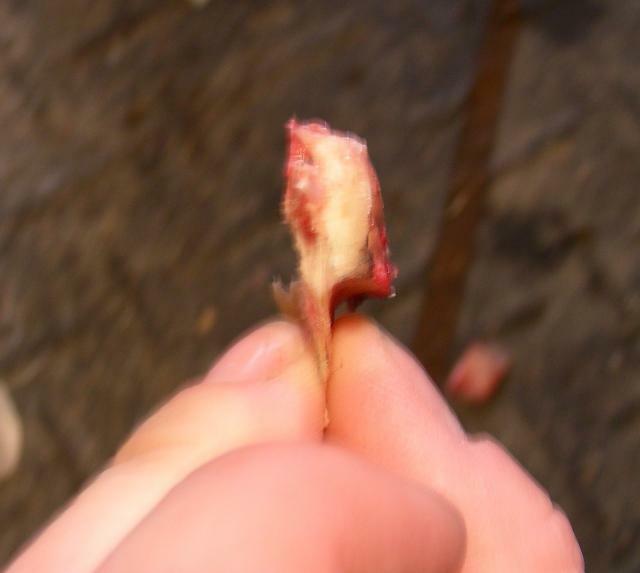 Here is the foot with the wall removed where it was folding. 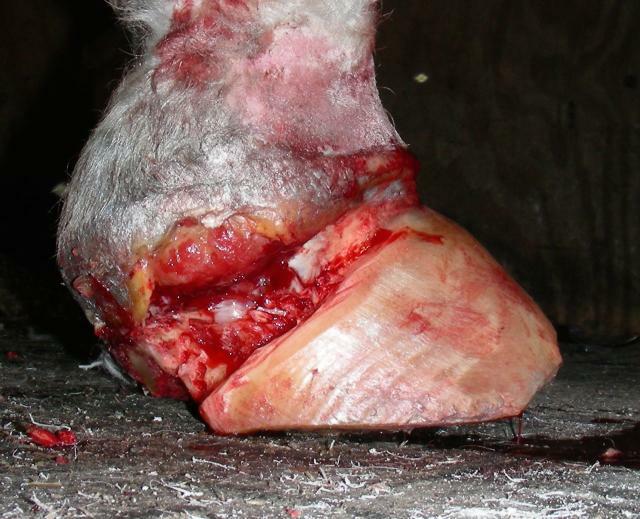 The wall covering the coronary band had detached and cut into the soft tissue of the pastern. Notice there is no blood in the resected wall in this picture. 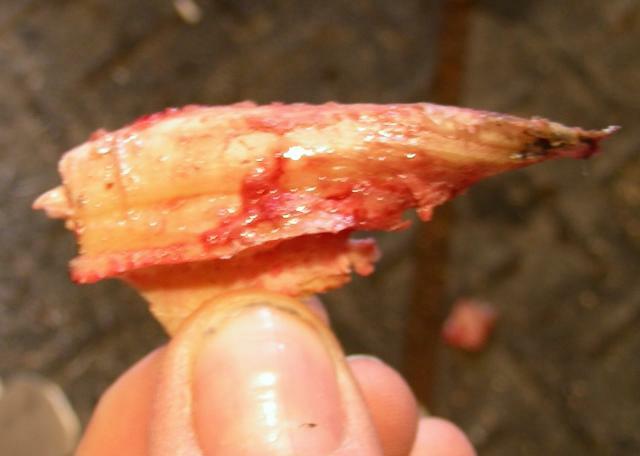 This is the piece of wall, including the coronary groove, that was the last piece removed from up under the swollen pastern. What would you have done? Intervened earlier? 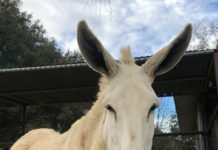 Recommended euthanasia? 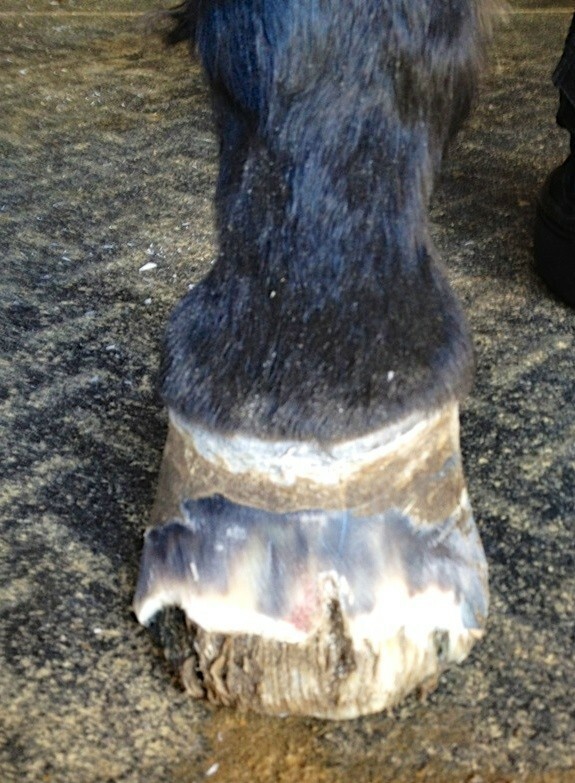 Turned the case over to another farrier? 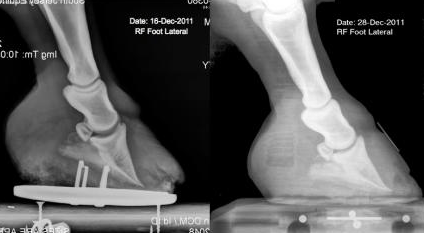 In both of the cases I've shown here, the resection was a critical step in getting the horse's foot healthy. We each have to make our own decisions about how to handle situations like these. 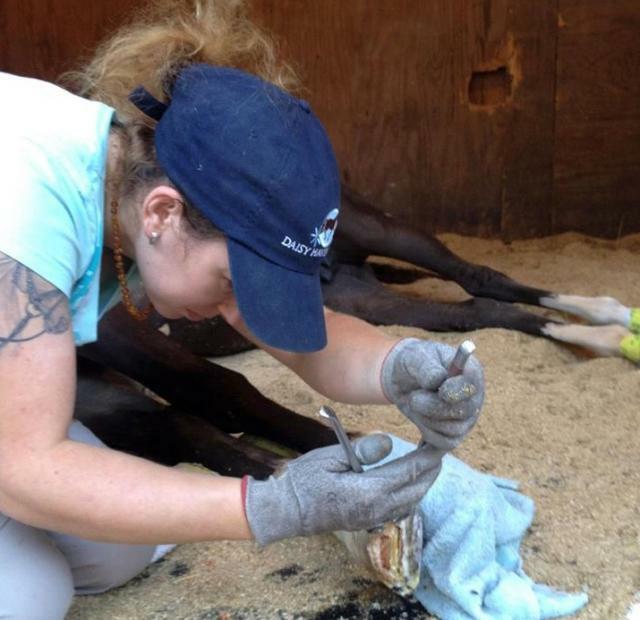 For me, the only way I know how to safely and successfully do this work is to be a team with the veterinarian, horse owner, and any others involved in the horse's care. Who does the actual work on the horse should be a team decision. 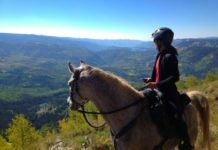 As long as everyone is on the same page with a clear plan, you will be successful in helping horses when resections are needed. Hopefully you will feel a little more confident in how to approach potential resection situations, as a team, when you come across them in the future. 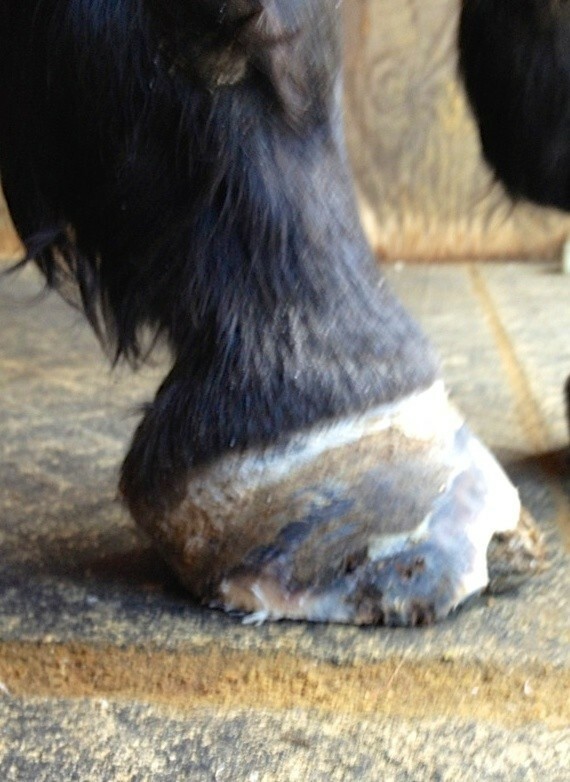 For more information on Daisy Haven Farm, Inc. please see DaisyHavenFarm.com and IntegrativeHoofSchool.com.